Due to my travels over the last two weeks, we won’t be publishing a podcast episode or eSight entry for this week. I do have something else for you, though—a brand new series! 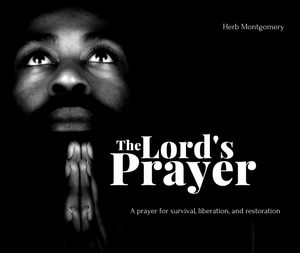 Earlier this month, I had the pleasure of sharing a new series from Renewed Heart Ministries entitled The Lord’s Prayer: A prayer for survival, liberation and restoration. These talks were presented at the Adventist Worship Center (AWC) in Phoenix, Arizona. I always love my time with AWC, and this time was no exception. It was good to see my friends there again. I was deeply encouraged as well to meet some new faces, too. During the discussion times at the end of each presentation we engaged in rich dialogue. One of the attendees, whom I had just met during this visit, shared via our website later that evening. And she was not alone. I heard repeatedly words of appreciation for what many felt was “permission” to engage societal injustice as a part of their faith tradition. Engagement. That’s what’s so encouraging about these types of responses. These are not theological debates that leave us only intellectually stimulated while the world around us is left unchanged. The fruit of weekends like this one are that we leave better equipped and motivated to take action in engaging the work of making our world a safe, just, compassionate home for us all, especially the most vulnerable among us. Our hope, as you listen, is that your heart, too, will be both renewed and inspired to take action as we, together, continue to engage our work today of survival, resistance, liberation, restoration and transformation.